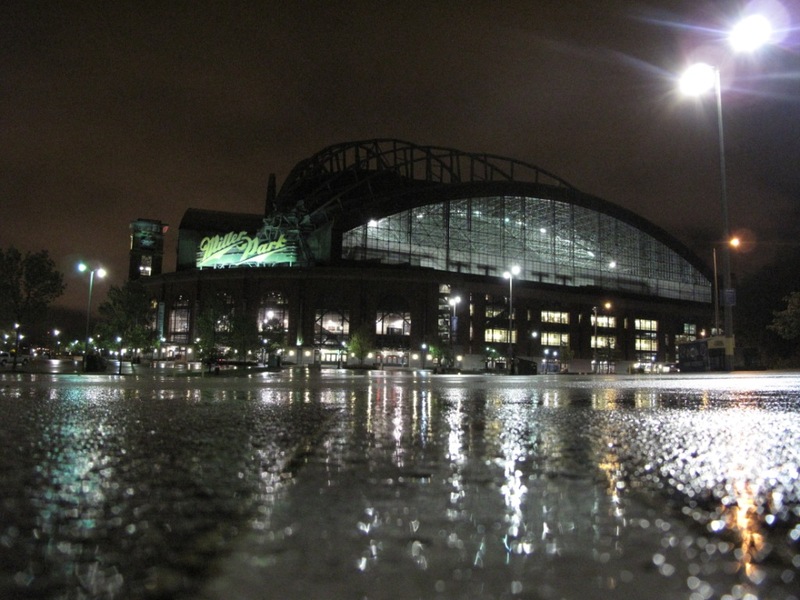 Miller Park is a nice ballpark. Is it the best around? No. But there’s not a whole lot to complain about either. 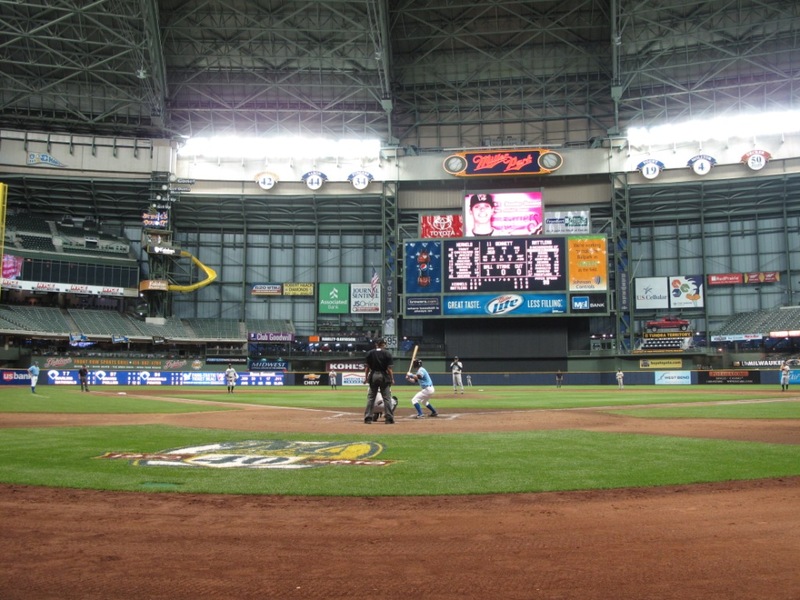 I’d been to Miller Park twice for Major League games in past years, but the game on Friday, May 7, was a new experience for me as the Midwest League invaded. 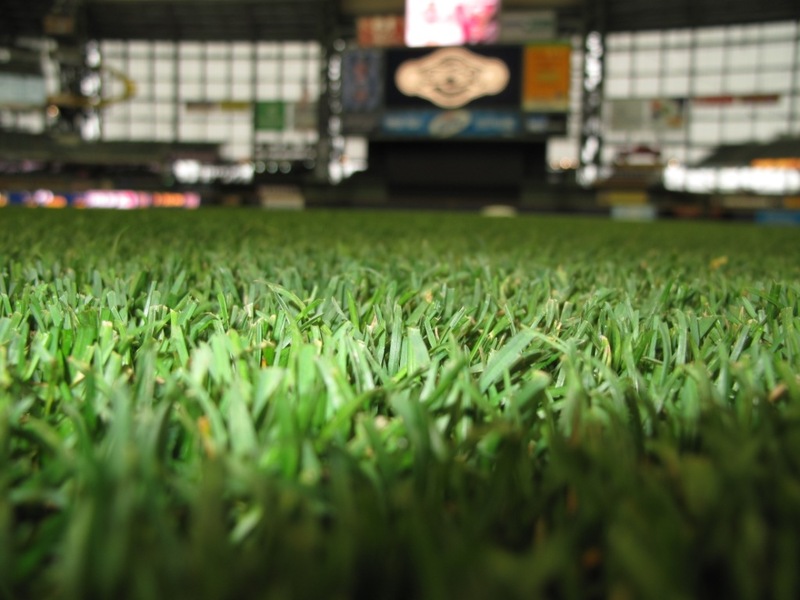 The Wisconsin Timber Rattlers (Brewers affiliate) hosted the Cedar Rapids Kernels and it was a good thing there was a retractable roof. Rain on and off all day would’ve washed this game out, but with the roof, we had baseball. 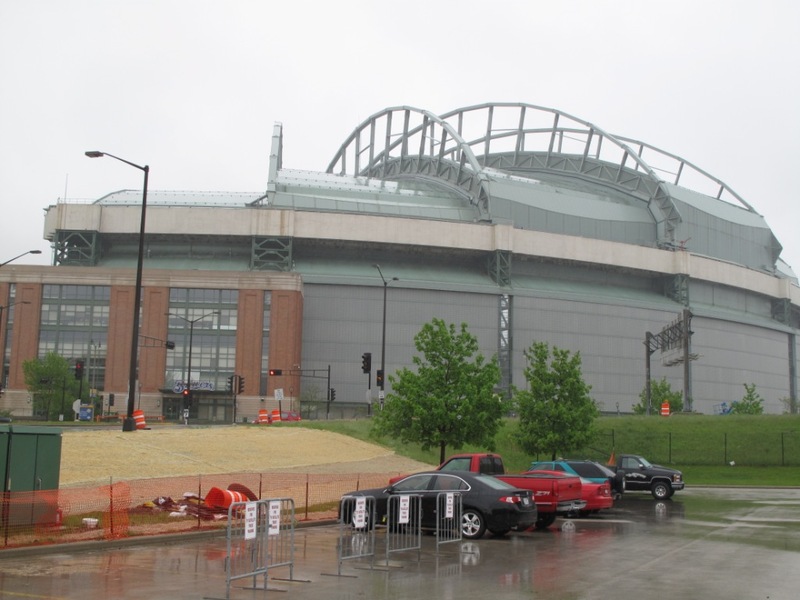 The park is located west of downtown Milwaukee in a location right next to where County Stadium was. There’s actually a Little League field in the middle of all of the Miller Park parking lots which is pretty cool. Other than that, it’s not the best surrounding for a ballpark. Just a lot of parking lots. My complaint with the stadium itself is that it feels like a dome. 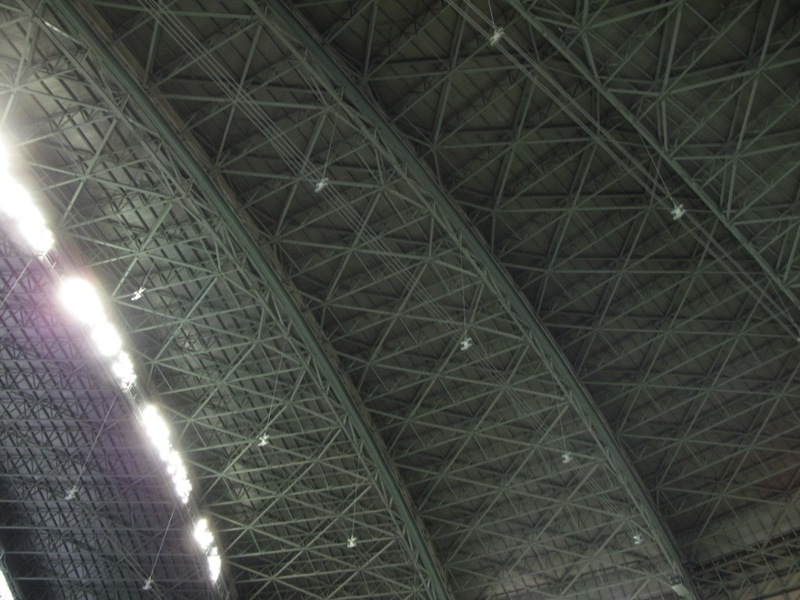 I know, I know, the roof can pull back, and they open up the windows in the outfield, but even with that, when I’ve been in there with the roof open, it still kind of feels like a dome. The most distinct Milwaukee feature of the park is Bernie Brewer’s slide out in left field. Yes, he was in attendance for the Rattlers/Kernels game, but he didn’t have much opportunity to celebrate as the Kernels won this game. And of course the most distinct thing at Miller Park is the sausage race, and yes, the race happened for this Midwest League game as well. 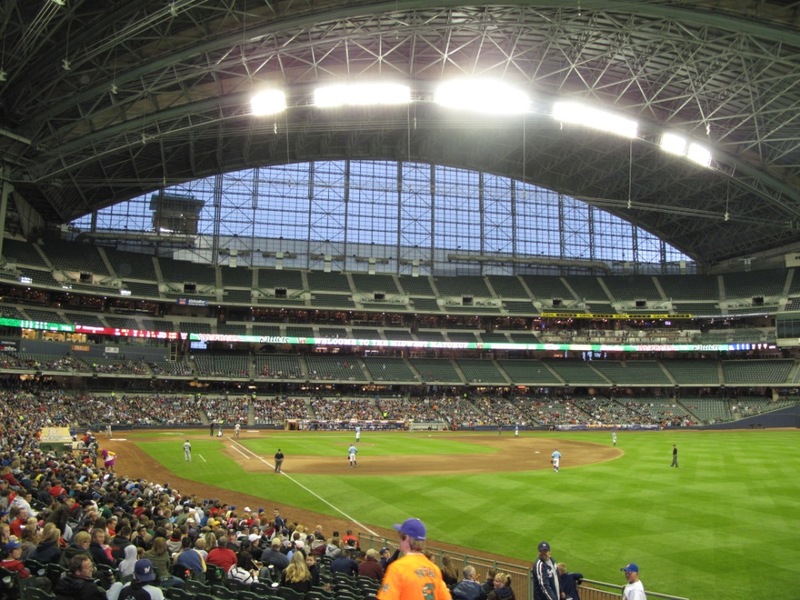 Miller Park is a nice ballpark. I rank it near the middle of the 31 MLB parks I’ve been too. Nothing great, nothing horrible. 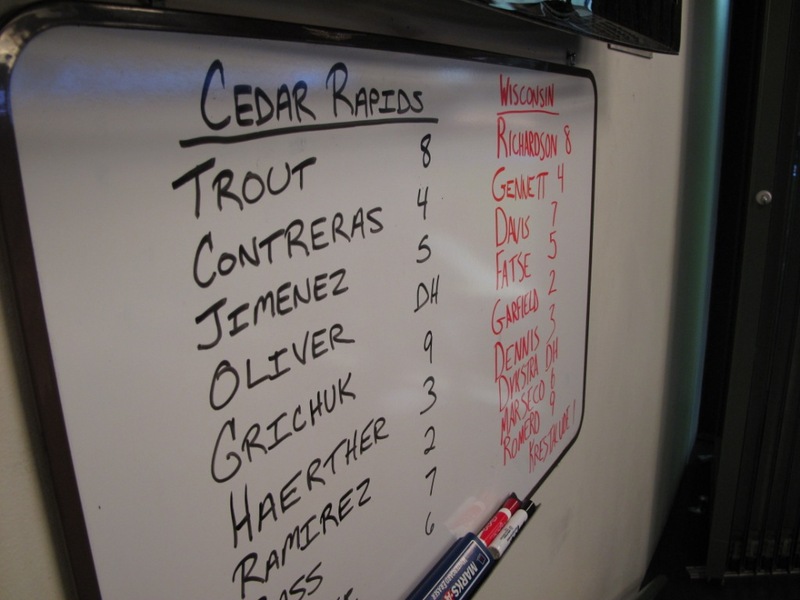 On this day what was great was the fact that a bunch of minor leaguers got the chance to get a taste of the big leagues. 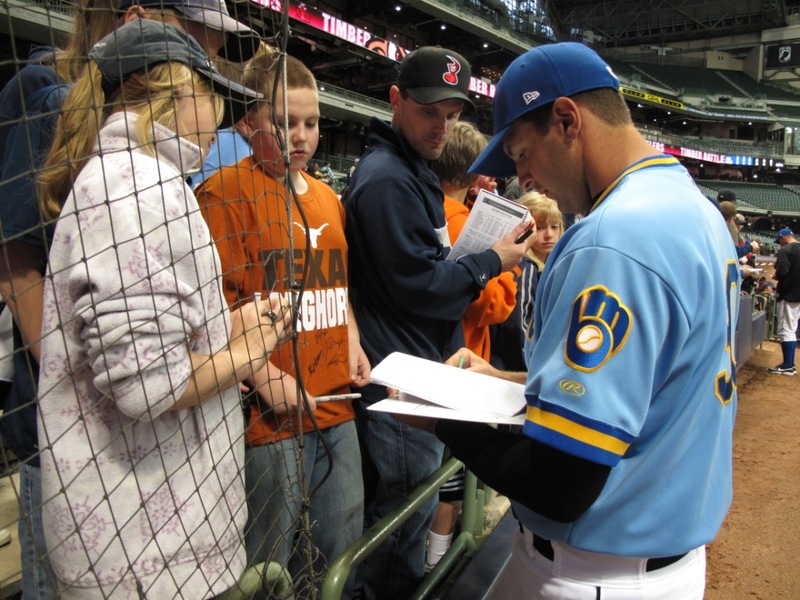 There was no doubt the game at Miller Park meant a little bit more than most games during the course of a long season. 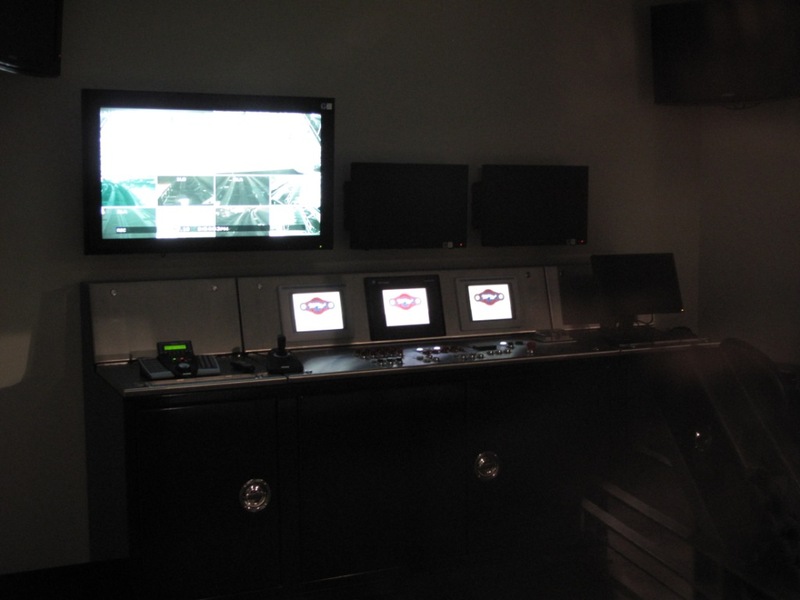 I am currently in edit mode! 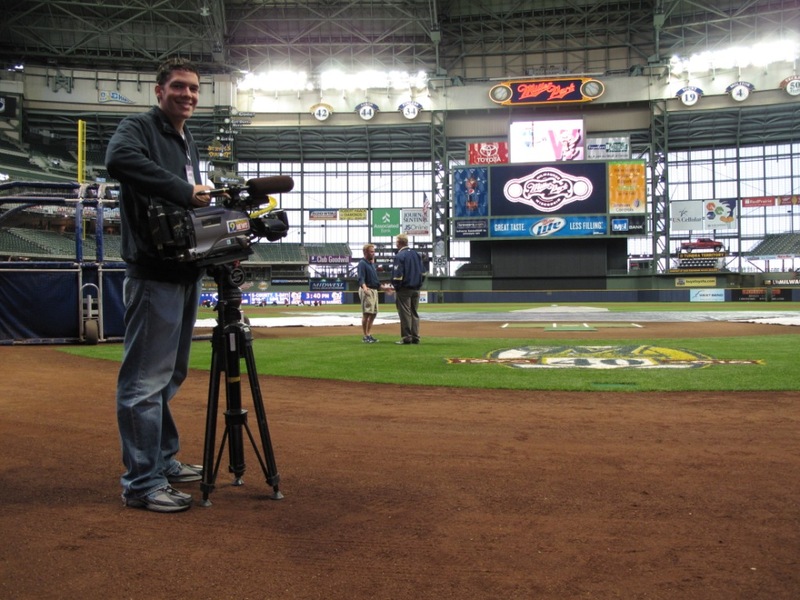 After a couple of weeks of busy ballpark shooting in Burlington, Davenport, and Appleton, I’m busy writing and editing the stories on those ballparks and cities that will air on KCRG-TV9’s Ballparks of the Midwest starting June 30. 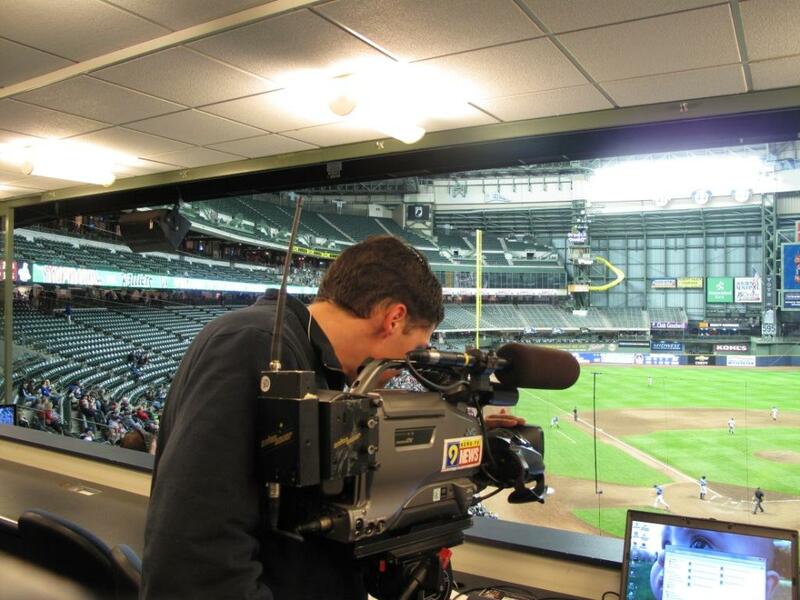 I also was fortunate to cover the Cedar Rapids Kernels-Wisconsin Timer Rattlers game at Miller Park on Friday, May 7. It was quite the experience for the fans, players…and the media too!